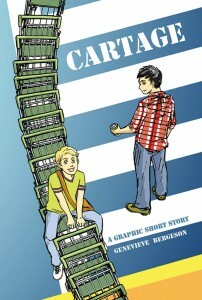 Cartage: A Graphic Short Story is an experimental book for young adults and adults young at heart. This is the second book by Genevieve at Draws the Eventide. A former army dude living happily out of his Jeep. A flustered high-school student looking for some fun. And one close encounter with a shopping cart. Watch out! Friendship and fun may ensue. 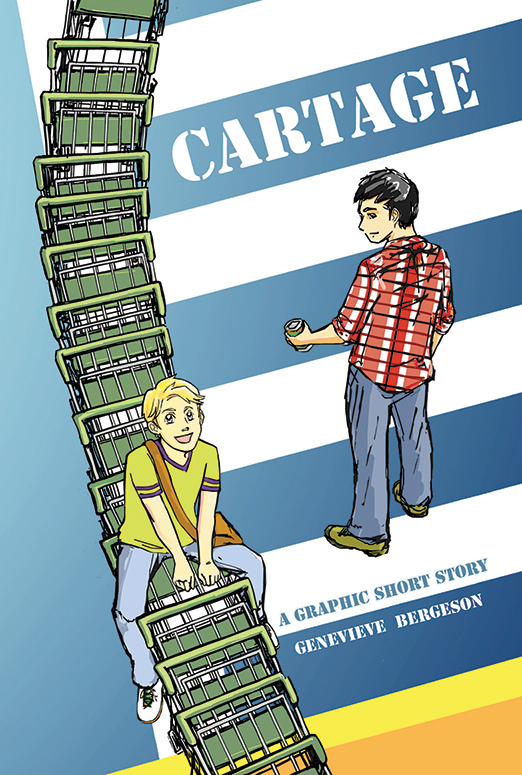 Combining the visual elements of a graphic novel and the verbal elements of a short story, Cartage is a narrative joyride you won’t want to miss! Interested in a copy? Contact Genevieve directly at pharos@drawstheeventide.com. Telephone is also okay, but email is particularly recommended for special requests, e.g., personalized messages. If you’ve read it and would like to write a short review, please email.